As consumers enter the home stretch of their 2018 spending spree, optimism is running high among retailers around the U.S. The National Retail Federation expects this year’s retail sales will top 2017’s total by at least 4.5 percent. And for the holidays? Consulting giant Deloitte predicts seasonal sales of $1.1 trillion, a more-than-5-percent jump over last year’s total. Leading the spending charge, according to the consultants, are high-earning millennials, whose youthful exuberance and fat paychecks could mean they will shell out more than $2,000 each during the holiday season. 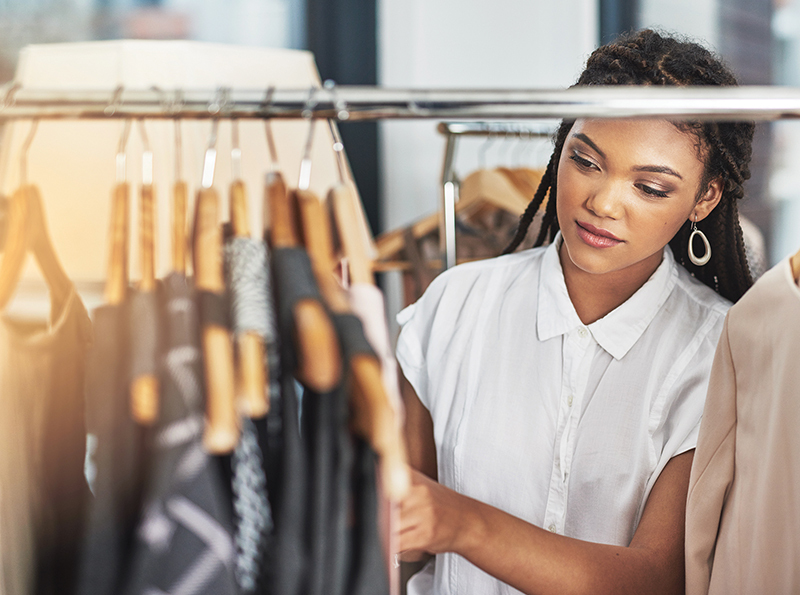 Their younger brethren, known as Gen Z, and even their Gen X and Baby Boomer elders – at least those not spooked by gyrations in their 401(k)s – are also diving into the annual shopping ritual. As the buying edges toward a late-December pinnacle, retail analysts want the world to know that past predictions of a shopping apocalypse have fallen flat. While it’s true that consumer dynamics have shifted dramatically, driven in part by the marketing power of Amazon and other giant online sellers, the idea that physical stores would soon become obsolete was flawed. National retail data show that store openings are on the rise, with 2018 seeing a net increase of 4,000 openings as compared with last year’s total. “For each company closing a store, 2.7 companies are opening stores,” the retail federation reports. While online buying is popular, online sales still make up less than 10 percent of total retail sales, and many of those purchases are from brands whose business is still done predominantly in physical stores. Landry said investor interest in retail properties in and around New Orleans has helped keep his business hopping in recent years. Stirling Properties, which has a long history in retail property brokerage and management, has brokered many sales of shopping centers and single-tenant properties, such as Walgreens and CVS drugstores, and Landry said sellers “have been doing really well.” The fact that investors see value in these properties and also have access to “cheap” capital, because of low interest rates, has generated a lot of activity across south Louisiana, he said. While some loyal customers bemoan the decline of such stalwart retailers as K-Mart and Sears, which recently sought bankruptcy protection, Landry said their demise was inevitable and, in fact, needed in order create more space for healthier businesses. “The retailers that are struggling are ones that struggled to understand what their customers were looking for,” he said. Noting that the Sears stores of today look much the same as they did 25 years ago, he stated that the company’s failure to adapt to changing tastes “or to do anything to generate new interest in what they were offering” brought Sears to its knees, and its demise has hurt some of the shopping centers it anchored. For contrast, Landry points to Lakeside Shopping Center in Metairie, which has made big investments over the years to turn the mall into a shopping destination, with restaurants, popular kiosks, family-oriented activities and, most of all, a changing mix of retailers aimed at keeping customers interested. Anchored by Macy’s and Dillard department stores, the mall features Apple and Microsoft stores, and continues to bring in new brands, including the recently opened LEGO store, which is positioned across from a Disney store. Lakeside is a good example of mall operators making good decisions, Landry says. “It also shows that retail is very much alive and well,” he added.